Supplied with all plug-in boards, is a software developer's kit (EDR or EDRE) to enable the user to write his own data acquisition & control software applications. This includes support for windows, linux and many 3rd party daq software such as Testpoint, Labview, Dasylab & Vee. 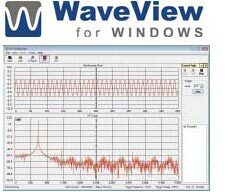 Our Labview drivers & examples are excellent and provide an easy interface to the world's most popular data acquisition software (Labview).